The album inspired by the seven deadly sins, and part of a larger vision that includes a film written by singer Josh Todd, who based the album's lyrics on his childhood and transformation into adulthood. “Confessions” debuted at #20 on the US Billboard 200 Albums chart upon its release in February. 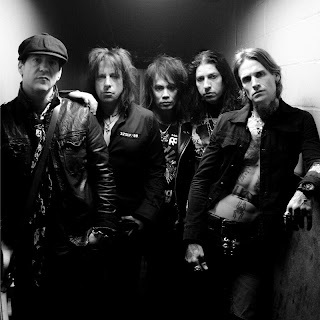 Buckcherry continue their North American tour this week with shows in Colorado Springs, CO and Las Vegas.